National Turbine has a large selection of vacuum hoses, from standard duty to static dissipating, static grounded and even heavy duty rubber for abrasive applications. Our extensive line of vacuum tools and wands give you one of the largest selections available. 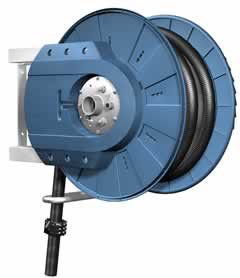 Special tools for wet applications, pipe cleaning and bulk material pick up are available in aluminum and ABS. We stock the standard "duck foot" tool that is an industry standard in the car wash and car rental markets. We have 1.5"(IV-150), 1.8"(IV-180) and 2"(IV-200) inlet valves and valve to hose adapters in stock. These valves and all of our hoses and tools are compatable with Lamson, Hoffman, Spencer, US Turbine and many other manufacturers central vacuum cleaning systems.